Malaria remains a major global health problem and cerebral malaria is one of themost serious complications of this disease. 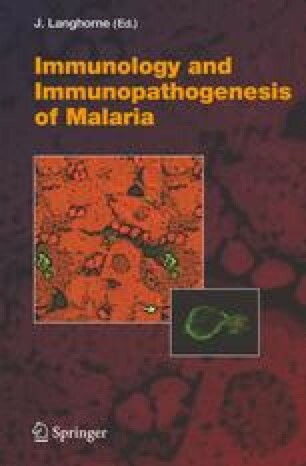 Recent years have seen important advances in our understanding of the pathogenesis of cerebralmalaria. Extensive analysis of tissues and blood taken frompatients with cerebralmalaria has been complimented by the use of animal models to identify specific components of pathogenic pathways. In particular, an important role for CD8+ T cells has been uncovered, as well divergent roles for members of the tumor necrosis factor (TNF) family of molecules, including TNF and lymphotoxin alpha. It has become apparent that theremay bemore than one pathogenic pathway leading to cerebral malaria. The last few years have also seen the testing of vaccines designed to target malaria molecules that stimulate inflammatory responses and thereby prevent the development of cerebral malaria. In this review, we will discuss the above advancements, as well as other important findings in research into the pathogenesis of cerebral malaria. As our understanding of pathogenic responses to Plasmodium parasites gathers momentum, the chance of a breakthrough in the development of treatments and vaccines to prevent death fromcerebralmalaria have become more realistic.